Soapy Gnome and I have been working towards these final boxes for some time. We started earlier this summer with her logo redesign. She had a gnome drawing she had been using, but felt it was too cartoony and wanted something with a bit more design thought behind it. Once the logo was established we moved on to her 9 boxes which I’ve just sent to print. 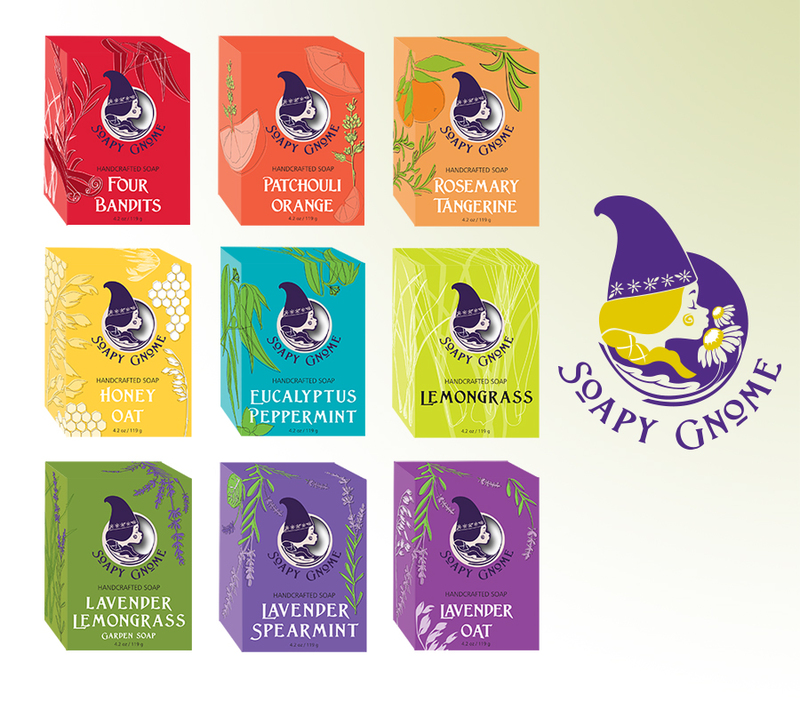 Each box features a cut out which compliments the logo (the gnome is smelling the soap! ), and custom botanical illustrations. These were a joy to design and I can’t wait to see the finished boxes back from the printer.